We know it can be overwhelming to understand all of the options available with regard to choosing the best public school for your child—there is so much information, and it doesn’t all live in one place. Our goal here is to centralize all the information you need so that you can exercise your power to choose the best-fit public school for each of your children. More resources and support to come, but in this post you will find 1) an overview of the process and timeline, 2) key events, and 3) contact information for additional resources. Above is a timeline of dates for the enrollment process. 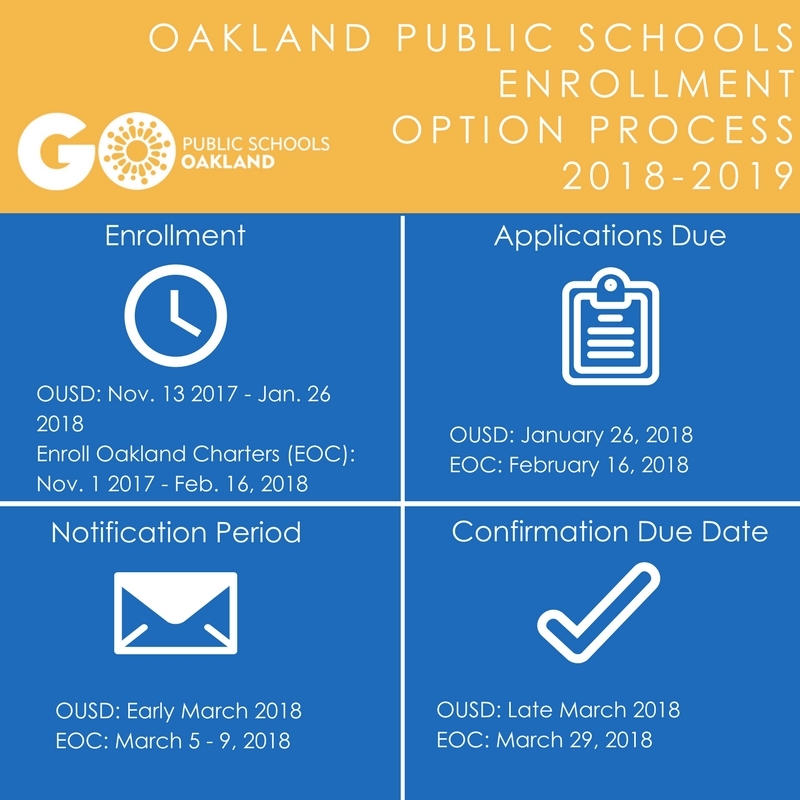 Beginning on November 1 (for charter schools) and November 13 (for district schools), you can begin the enrollment process by visiting OUSD’s Enrollment page or EnrollOak.org. 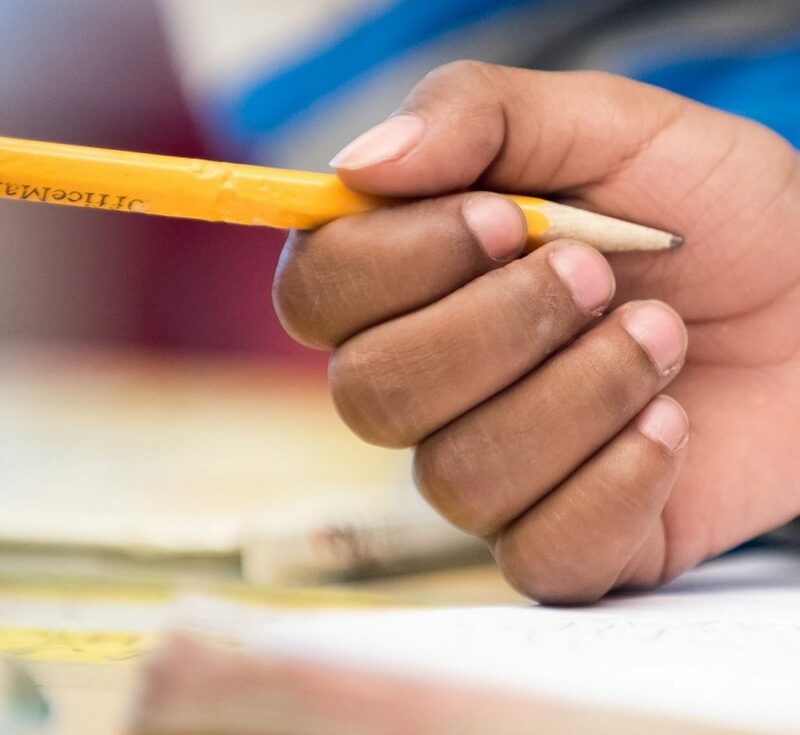 On these sites, you’ll also be able to use the Oakland School Finder tool to assess options for your child based on where you live and the school offerings that matter most for your family. OUSD also just made available a comprehensive calendar with dates and times for enrollment options fairs, informational events, prospective family nights and school tours. 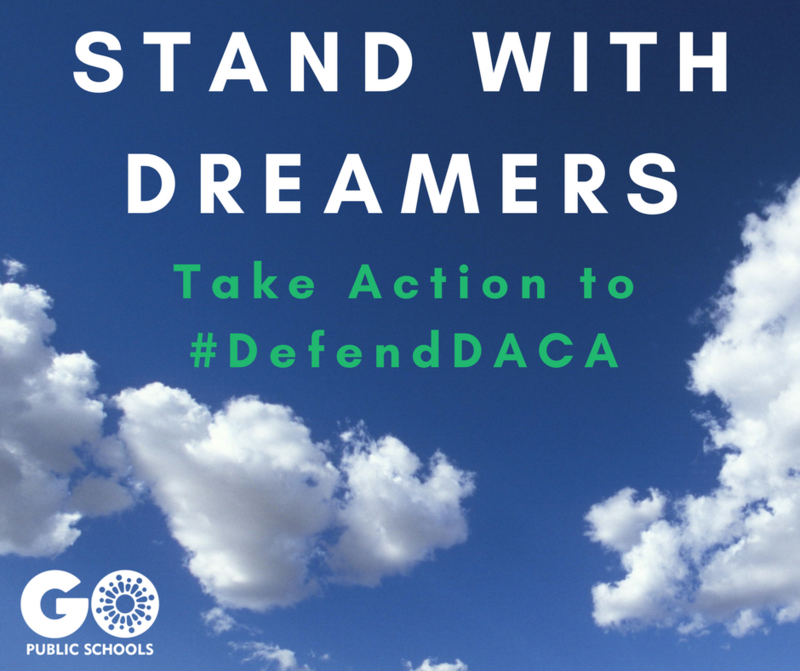 Check it out and plan to visit your prospective elementary, middle, or high schools on the appropriate date!